Each year, B-Metro compiles a list of the region’s top attorneys. The Top Lawyers are determined by outside research companies and peer nominations. 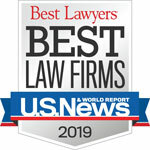 According to B-Metro, the attorneys recognized for this listing were chosen “because of their ability to guide clients to successful outcomes.” Criteria includes education, professional experience and community service. Congratulations for this recognition! Alabama State Bar Rules require the following: No representation is made that the quality of the legal services to be performed is greater than the quality of legal services provided by other lawyers. Copyright 2016, Parnell Thompson, LLC. Site by Zeekee.